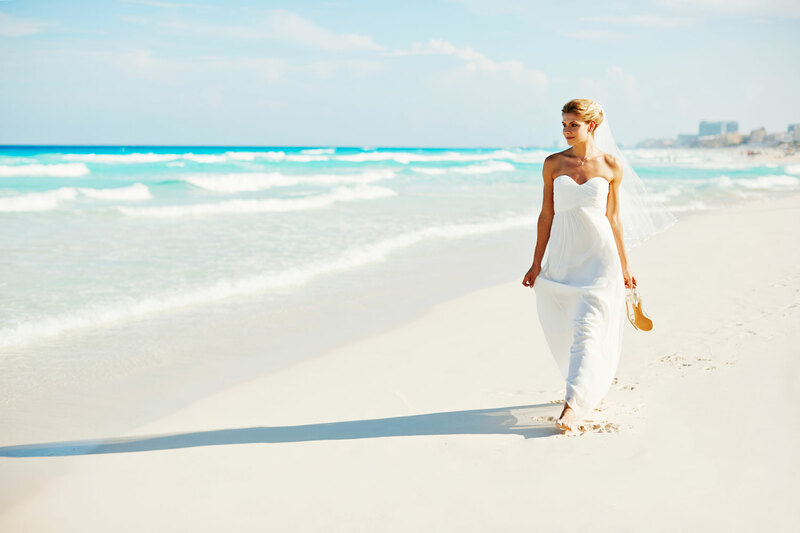 When planning a destination wedding or honeymoon, many couples envision beautiful white-sand beaches, sparkling turquoise waters, and luxurious accommodations. 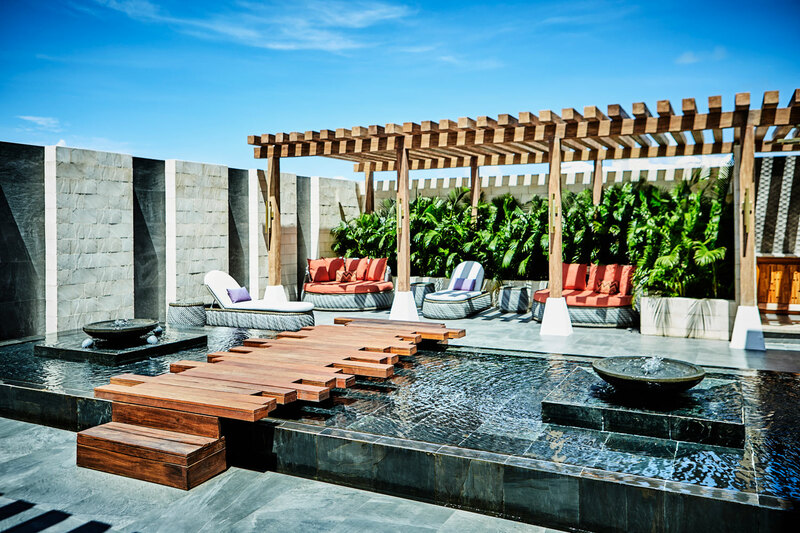 These must-haves and more are exactly what you’ll discover at Hyatt Zilara Cancun. 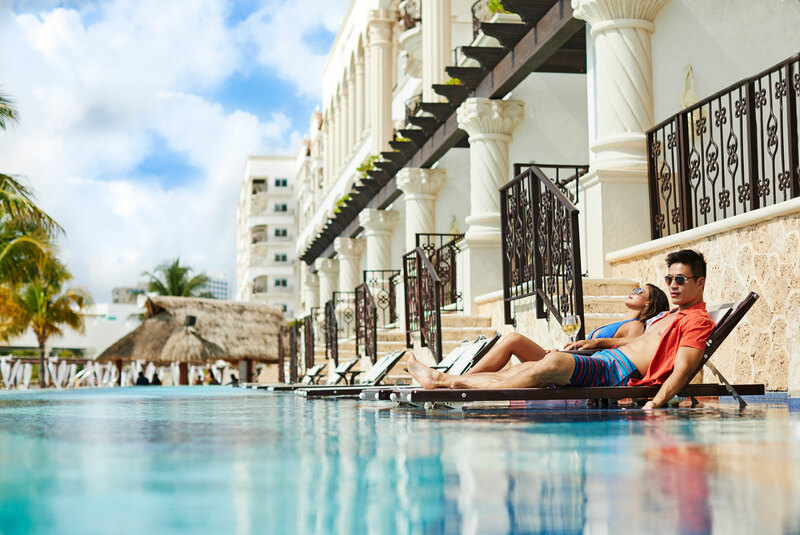 The all-inclusive, oceanfront resort is exclusively for adults, making it ideal for newlyweds to enjoy a romantic getaway or for couples who desire a serene experience for their nuptials. Located on the widest stretch of beach in the desirable Zona Hotelera district, guests can enjoy all of the beauty Mexico has to offer after just a 20-minute drive from the airport. 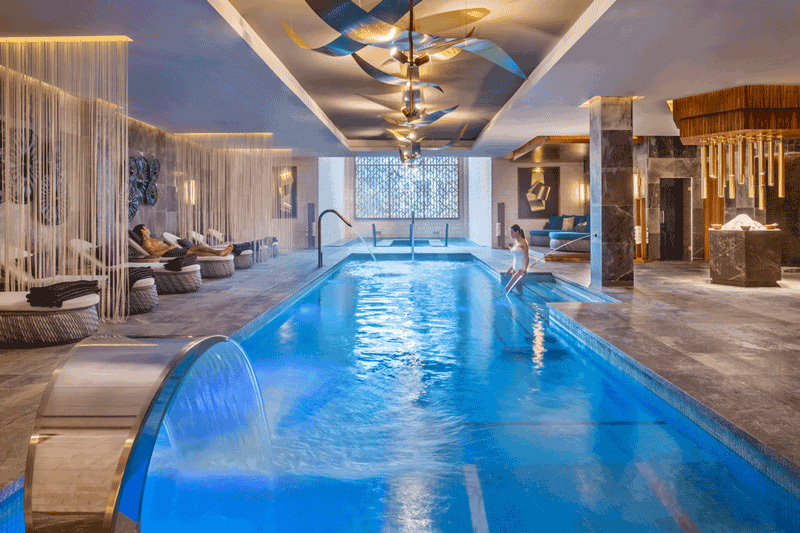 With over 300 all-suite accommodations – including coveted swim-up suites – the impressive property is an amazing locale to host up to 350 attendees for an unforgettable destination fête. Before and after the vow exchange, the newlyweds and their loved ones can enjoy unlimited dining and drinking at six chic restaurants and four bars and lounges, as well as infinity pools with swim-up bars and multiple resort activities, including pool parties, tequila tastings, beach volleyball, bike riding, and more. Guests are even invited to experience nightly live entertainment, from traditional mariachi bands to circus-style shows. The Sky Gym features floor-to-ceiling glass windows that overlook the lagoon, providing panoramic views to those exercising on state-of-the-art equipment, swimming in the infinity-edge lap pool, or attending daily fitness classes. 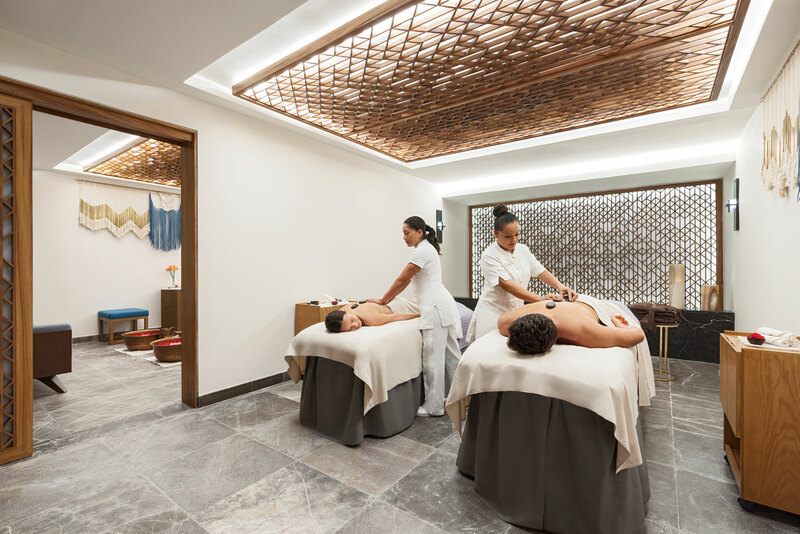 A brand-new Zen Spa showcases a world-class facility with treatments that take inspiration from ancient Mayan traditions. 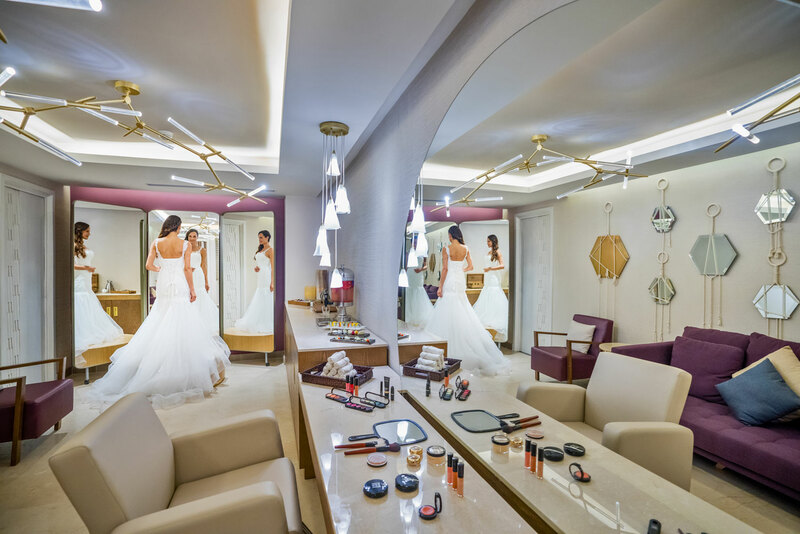 The nearby beauty salon and bridal suite has everything brides need to get ready for the big day, and the Alchemy Workshop invites guests to create their own fragrance, body lotion, or face mask – a particularly special experience for bridesmaids, so they’ll have an everlasting memory from the occasion. 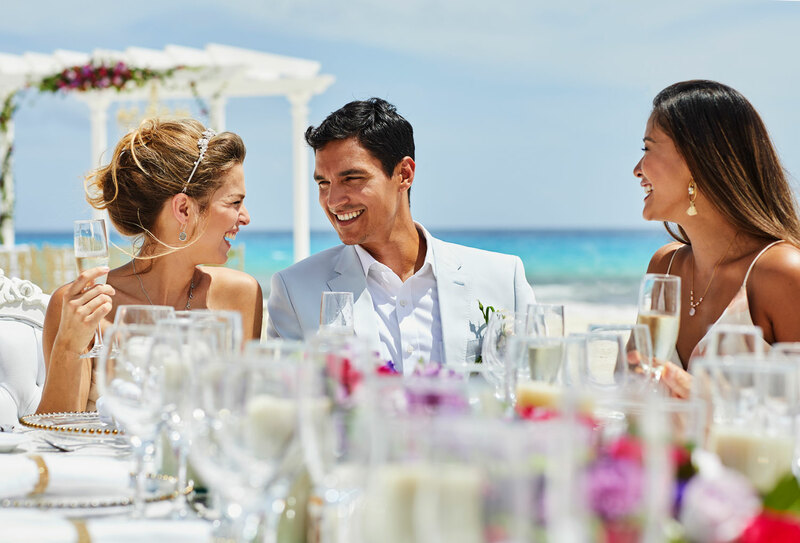 Couples desiring a wedding at an elegant resort with a sophisticated, adults-only atmosphere will love the variety of packages to choose from. Whether you want to have a private romantic elopement for just the two of you, or a soirée for hundreds of people, there’s an option for every type of event. The “For Just the Two of You” package includes a free wedding for two – perfect for the couple who wants a quick elopement followed by a romantic honeymoon in Mexico; the “Intimate Elegance” package that offers a free wedding for the couple witnessed by 10 of their closest friends and family members – plus a couple’s massage and beachfront dinner for the newlyweds; and the “Lavish & Opulent” package, which is specially designed and optimal for the pair who wants to customize their ceremony, cocktail hour, and reception for a larger guest list. 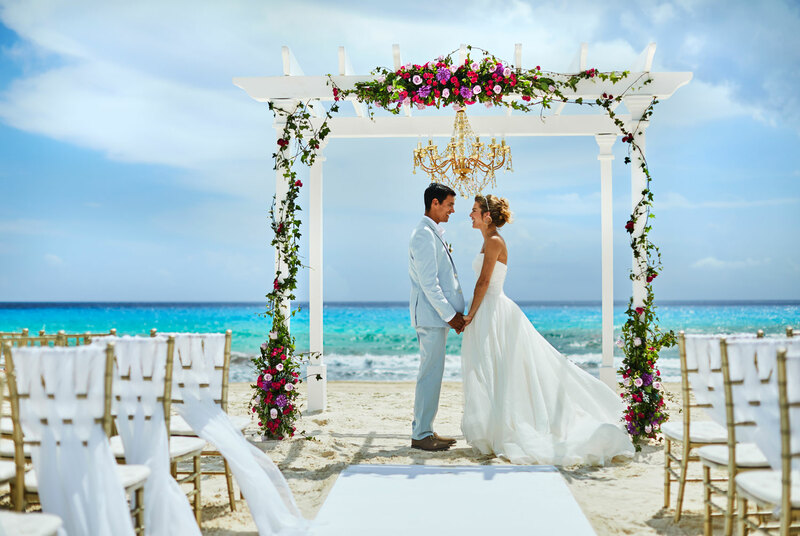 Brides and grooms will work with a knowledgeable team of wedding professionals that attend to every detail during the celebration while the newlyweds and their guests are encouraged to sit back, relax, and indulge in the all-inclusive amenities in the luxurious paradise. Whether you’re planning to have a Christian, Jewish, Hindu, Islamic, Asian, non-denominational, or LGBT wedding, let the resort handle every element leading up to the special day, so you can spend more time enjoying your engagement bliss. With a number of venues to choose from including romantic gazebos, beautiful gardens, and gorgeous beaches, your ceremony and reception are sure to be picture-perfect. The Playa Gazebo Villas & Beach features three private outdoor spaces – a white-sand beach, oceanfront gazebo, and grassy esplanade – for your ceremony, cocktail hour, and reception for 50-100 guests, which is especially fitting for the pair who has always imagined an alfresco destination affair. Couples with smaller guest lists of up to 40 loved ones can enjoy a similar setting at the Gazebo Zilara & Beach, and those desiring ballroom nuptials have six spaces to choose from that accommodate up to 350 attendees, plus the Salon Laguna & Lagoon View Terrace that showcases stunning window displays overlooking the picturesque lagoon. Not sure which to choose? Enjoy the “Big Day Preview” package that offers a romantic two-night stay for just $500, so couples can plan their nuptials onsite with a wedding specialist and also receive a $500 credit towards their wedding. 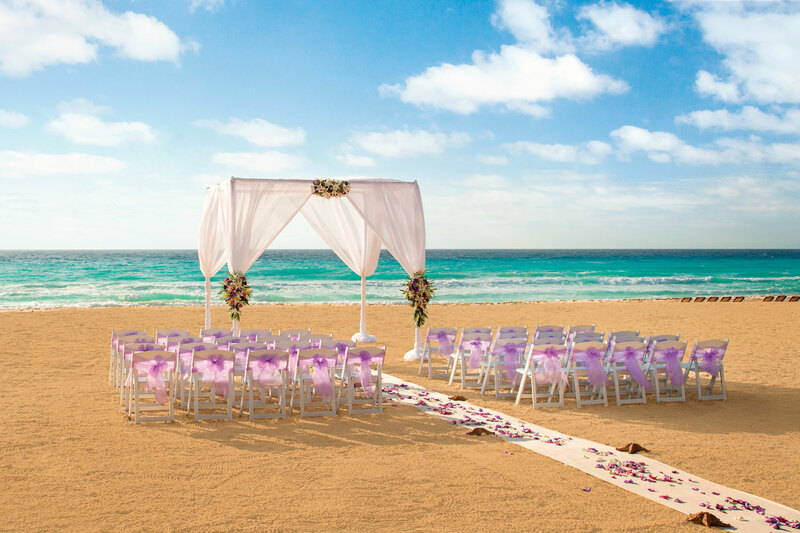 Call the Hyatt Zilara Cancun wedding center at 800.935.4812 to start planning your luxurious destination event on the sand in Mexico, or visit resortsbyhyatt.com/zilara-cancun for more details.